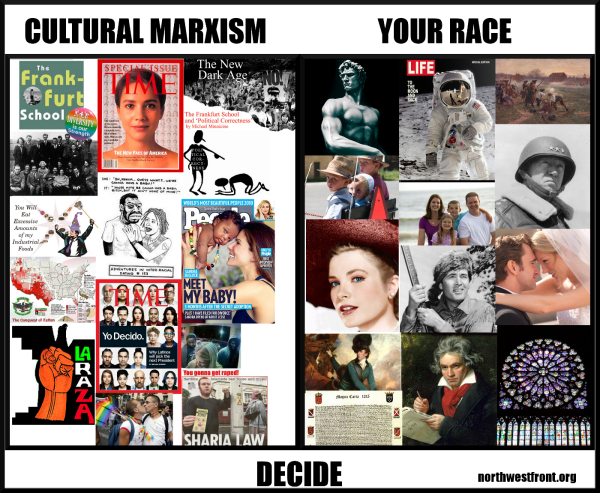 [Here is a short excerpt from Lasha Darkmoon’s summary of the main points of Cultural Marxism. 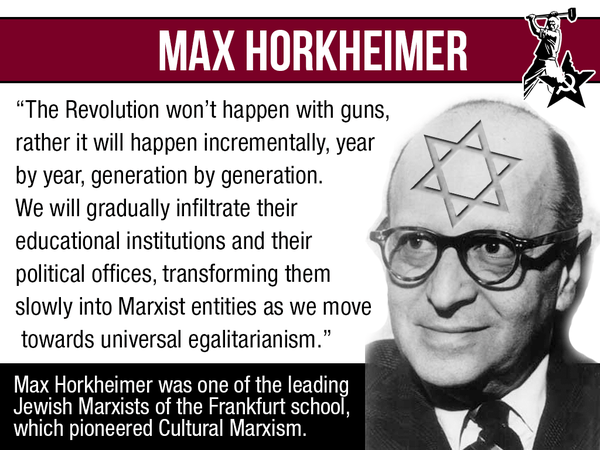 This is an insidious plan by Jewish Communists from Germany that was transferred to the USA. I am including some other quotes from some of the Jewish garbage and you’ll see what despicable trash they are. This is the payback that whites are getting from co-existing with the Jewish swine for over 2,000 years (from before Christianity). 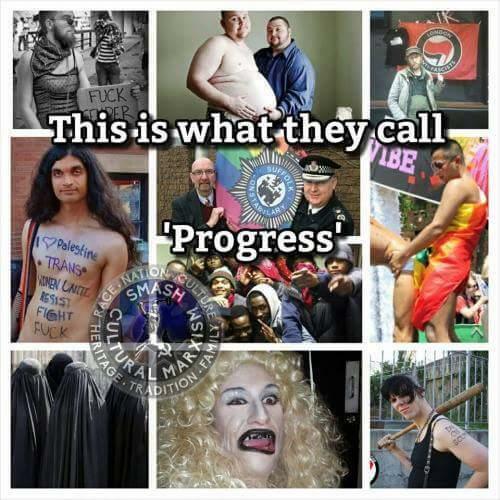 The Jews know us so well, and this race of scum have an overrated opinion of themselves and they’re out to destroy Western Civilisation and at the heart of it white people, especially the White Male! The White male poses the biggest threat to them of all. Hence he must be obliterated. 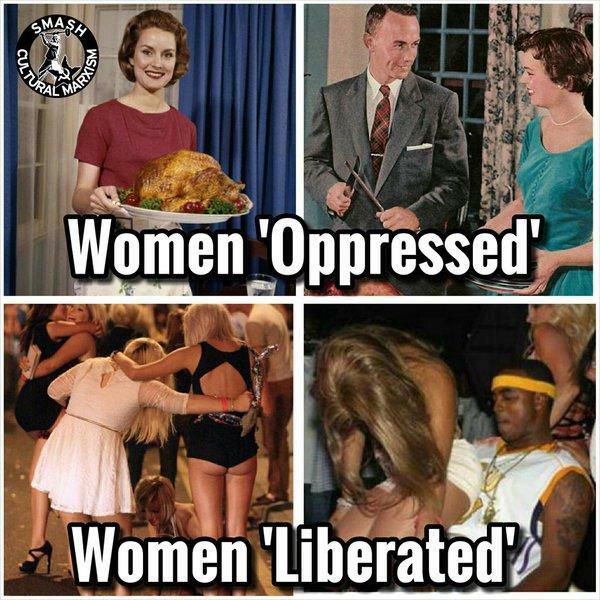 This is just a reminder as to where all the filth and degeneracy comes from in modern day western society. 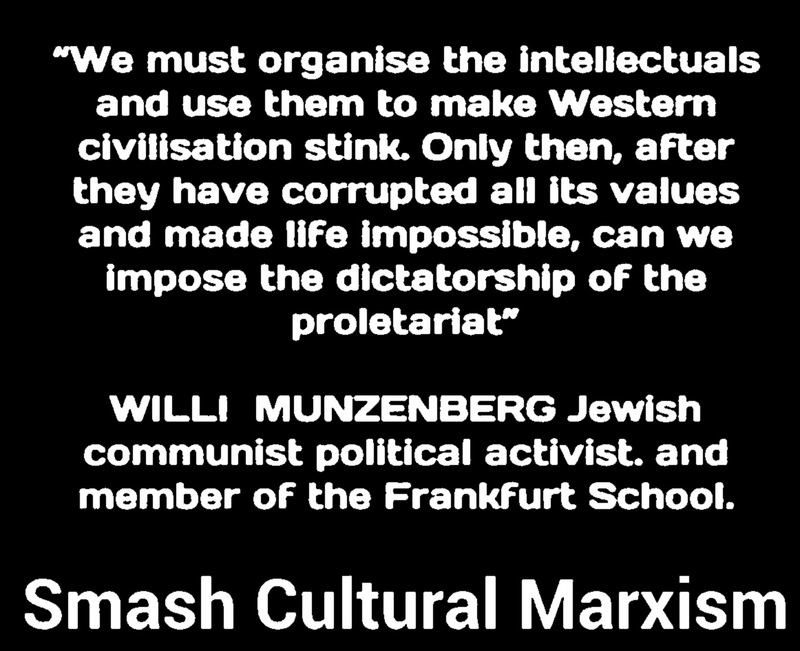 Here are the twelve points of cultural Marxism set forth by the Jews who formed the Frankfurt School of Cultural Marxism in Frankfurt, Germany, in 1924 to demoralize western society and facilitate a communist takeover. They’re doing a pretty good job, dontchathink? ← 9 Cartoons: About Jews, Nazis & Brilliant NEW Holocaust shrine Cartoon!